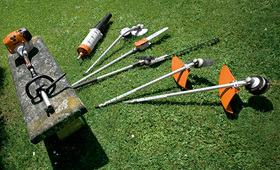 The range of STIHL KombiTools makes the KombiSystem adaptable to your every need. With the choice of 12 different KombiTools for a vast variety of tasks in the garden. Buy Better with STIHL.